I organize 'Yakushima Macaque Research Group' with many colleagues and conduct the census of Japanese macaques every summer. 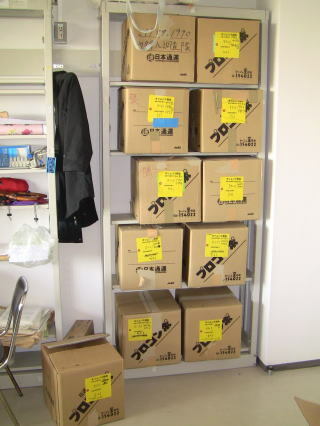 This project was originally initiated by Prof. Shinichi Yoshihiro at Ryukoku University in 1989. Long-term study has been conducted in the western coastal forest of Yakushima for almost three decades, including my master's thesis, but almost nothing was known about the monkeys out of the long-term study site. The habitat changes considerably along elevation: Yakushima has the second highest mountain in the western part of Japan (Mt. Miyanoura, 1936 m). He believed that comparing Japanese macaques in the higher and lower part of this island would be a rare chance to reveal the width of ecological adaptations of this species. 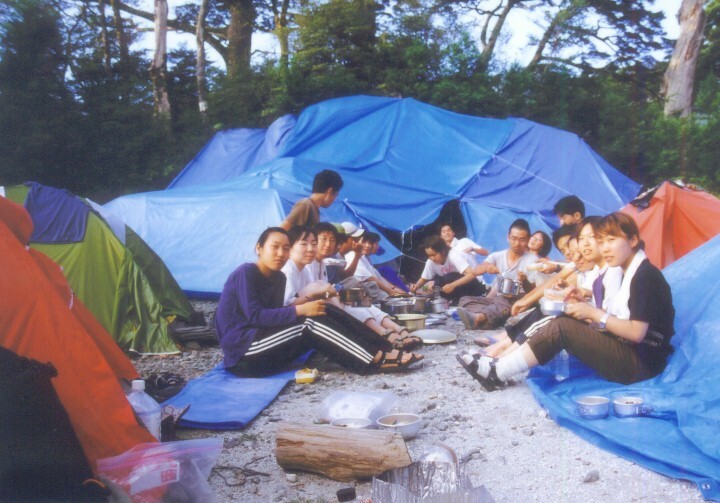 He gathered researchers and students from all over Japan and conducted the first census in the southwestern area of Yakushima with an altitude 1000-1600 m. He continued the census in other areas later on. I inherited the organization of the census from him in 1995. Until 1997, we had censused the distribution of macaques in the areas of 125 km2 in total, which is almost quarter of this island. After that, we set a new study site in the western coniferous forest of Yakushima, with an altitude 1000-1200 m. We monitor the group density and composition of the four identified troops. Annual fruit production and regeneration in the logged forest patches are also monitored. We started monitoring the abundance of sika deer in 2008. We would like to maintain this study site over a long-term. Same kind of long-term monitoring is conducted in the western coastal study site. We believe that Yakushima would offer us a rare place to see how animals behave in a very heterogeneous habitat over the long term. We have developed a new method to census Japanese macaques living in mountainous habitats, where ordinary line transect census is difficult to conduct. We combined point census and group follows and showed that this new method can reliably estimate the group density of Japanese macaques. Using this method, our census team revealed that macaque density was high only around the coast. We also examined the habitat variables, and found that altitudinal changes in total annual fruit production, rather than the severity of the bottleneck period, was similar to the altitudinal variations of macaque density. We have also analyzed the food availability and density of macaques in primary, naturally regenerated, and cedar-plantation forests. Cedar-plantation forests were composed mostly of cedars, and did not provide fruits for macaques. Macaque density was lowest there. In naturally regenerated forest, fruit production was more than ten times than that in primary forest, and macaque density was largest. In the primary forests in this altitudinal zones, small trees or shrubs provide most of the fruit-foods for macaques. Reproductive conditions of these small trees seemed to be enhanced by logging. Left, the camp of the census group. More than 40 people, mostly undergraduate students, join the census every year. Number of people who have joined is now more than 700 in total. Middle, point observation. Right, the data files from 1989 to 2010 kept at my lab. Our group has a homepage, but sorry all in Japanese! Then, I compared 17 primate communities in Old and New Worlds, including Yakushima and revealed that both annual fruit production and its seasonality affect primate biomass and species richness. As a compilation of my previous studies on spatial variation in primate abundance, I reviewed studies on food resource limitation in primates. In this review, I proposed a hypothesis on how resource availability and its seasonality determine animal abundance. When the quality of fallback foods is too low to satisfy nutritional requirement, total annual food quantity should determine population size. On the other hand, when fallback food quality is high enough to satisfy nutritional requirement but quantity is limited, quantity of fallback food should be a limiting factor of animal abundance. In order to test this hypothesis, thorough data on both feeding ecology and forest ecology are needed, which can clarify the nutritional requirements by primates and productivity of forest which provide foods for primates.